The Hard Way Documentary – the inspirational story about 89-year-old ultra runner Bob Hayes, has been selected as a Finalist for the 2016 Banff Mountain Film Competition. In its 41st year, the Banff Mountain Film and Book Festival is one of the most prestigious mountain film festivals in the world. Presented by National Geographic and The North Face, it takes place October 29 – November 6, 2016, at Banff Centre in Banff, Alberta, Canada. 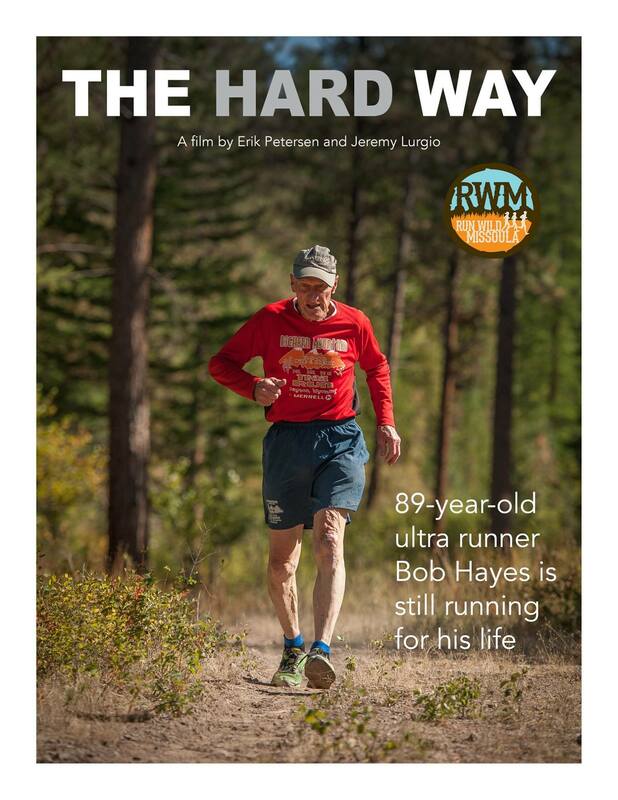 The Hard Way is the inspirational story of Bob Hayes, an 89-year-old who runs 30 races each year, cuts his firewood by hand and does things the hard way to remain active and alive. The film takes us on a journey that’s about more than running, it teaches us to live life with purpose and momentum. Montana independent filmmakers Erik Petersen, of Clyde Park, and Jeremy Lurgio, of Missoula spent more than a year documenting Hayes’ story about remaining active and vital as he approaches 90. Erik and Jeremy are traveling up to Banff for the festival this weekend. The Hard Way will screen November 5 and 6 in Banff, Alberta. November 5, 2016 – Missoula, Montana – The Missoula Trail Running Film Festival will feature The Hard Way at The Wilma Theater. If selected for the Banff Official Tour, The Hard Way will play in Missoula at the Banff Mountain Film Festival at the Dennison Theater Nov. 13th.